Now the fun time is no more for the league of editors, and journalists with the proximity of Govt when they often used to get the Bon Voyage for being part of PM’s official overseas visits. An exclusive story is brought to you by Jan-Satyagrah after a lengthy compilation of data and information through RTI applications. 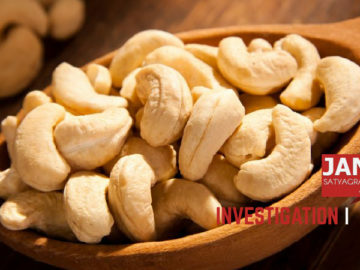 Until the present Government discarded, it had become the quite arid and unrestrained practice of carrying the big media contingent and boarding them on VVIP aircraft of PM and President while going to overseas trips. Instead, this promoted the media cronyism and created the extra burden of hospitality upon Govt Staff. 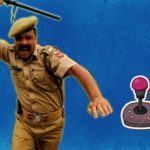 ‘N’ numbers of awful incidents, well heard from the Lutyen’s telltales about such tantrums of over-privileged Indian journalists like – Once a very senior editor showered his anger and flung his boarding pass over Air India ground hostess for not providing the seat of his choice. 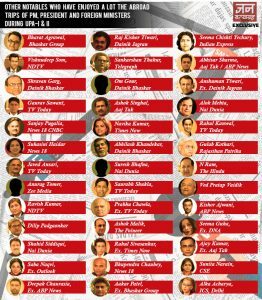 Further, this choosing of the media contingent has also been chaotic and proven a headache for Govt officials to deal with abrupt referrals and entertain the phone calls from crony newsgroups to include names of their men on the list. The process set the murkiest due to UPA Govt to invite their loving editors like N Ram on priority and always kept the place reserved for their men, so Govt didn’t miss their company on abroad visits. During the visits, ETV’s Jagdish Chandra (Now Zee group regional head) was who has been most frequent among all TV journalists. 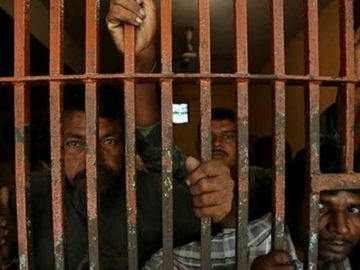 Siddarth Zarabi, Barkha Dutt are other top names on this list. Here, we didn’t list up the private news agencies like ANI, IANS, PTI and National Broadcaster DD & Akashwani. 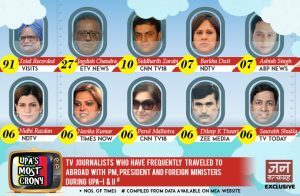 NDTV and CNN News18 group top the list for the most numbers of times when UPA Govt hosted its media cronies anchors and correspondents by taking them to abroad along with the PM. 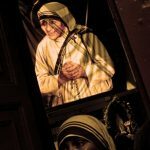 In his column, Sr. 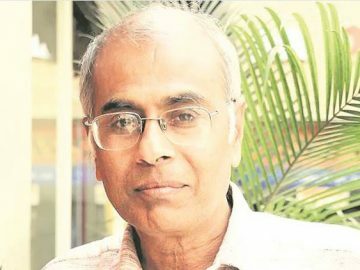 Columnist KP Nayar writes about one such instance about an owner-editor, who traveled with PM on one of the official visits of PM Narasimha Rao to UN Assembly. The editor was the first to reach the media center. He called back to his office to inform his arrival to his Delhi Office. Look at his conversation to his news desk. That was his professional contribution for the day. He was soon out in jeans and walking shoes enjoying the Big Apple. It is just one of the glaring examples of showing the mindset of fun and frolic by India Journos when they seek the advantages of being part of official media contingent and previous governments used to have it ignored. Instead, have been promoting. Jan-Satyagrah attempts to bring out the insight of this press cronyism of UPA. By filing RTI to collect and compiled data of the editors and journalists who have visited abroad with PM, President and Foreign Ministers under UPA-I and UPA-II regime. We tried to figure out the frequencies at which the News Organisations and journalists have been a part of media contingent. [ in other words, who was more crony?] Though we confirmed through an RTI application about the expenses incurred by the government for airfare, lodge & food and other sundry expenses over journalists. As per rule, airfare can’t be figured out as they used to travel by same VVIP aircraft for PM. The food & lodging expenses used to bear by them or their organization and they had to stay at the hotel suggested by MEA. But in countries like the USA, for their president’s visits, they ask to pay a fixed amount by Journalists. Further, in an Indian context, it can not be deniable, and it comes on a thin boundary when Govt favors bearing its expenses like official events in which amount cannot be separated out among Journalists and PM & other Govt officials. Besides this, availability of Indian foods for Journos, Govt duly takes care. We summarised the data available for total 91 trips (including the visits of PM, President, and Foreign Ministers) on MEA website. 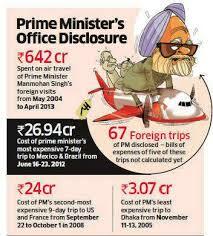 Former PM Manmohan Singh under UPA-I&II visited 67 out of these 91 which incurred 642 Cr rupees from the exchequer. 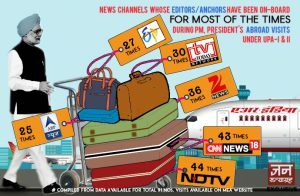 It was NDTV (44 times) and CNN News18 (43 times) whose anchors and correspondents beat others on the list for getting boarding passes. 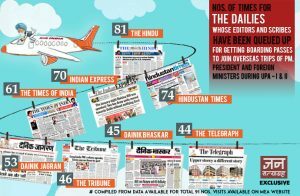 Similarly, among the national dailies, The Hindu is on the top and Hindustan Times is the second. Dainik Jagran’s Prashant Mishra is the most among the print editors who enjoyed the visits with Ex. PM Manmohan Singh. 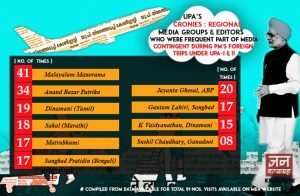 If we look at below illustration made from compiled data, Malayalam Manorama and ABP’s editor Jayanta Ghosal were leading in regional media. 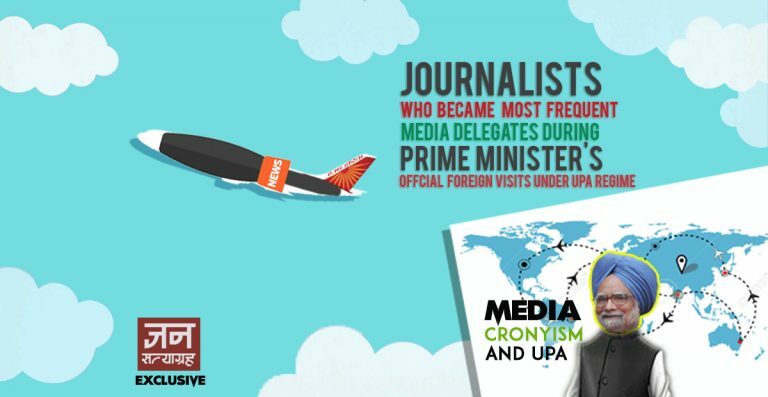 Other notable cronies have been part of media contingent during UPA PM abroad visits. It is strange to know the only single digital media platform of Rediff.com whose editors got the opportunity to join the visits. 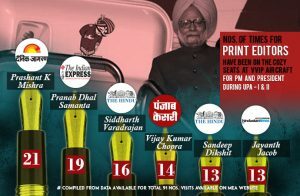 Among the magazine journos, Outlook was the most whose representatives were a routine part of media contingent.